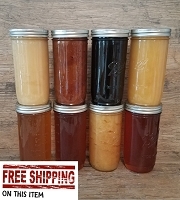 Home > Raw Honey > Raw Locust Honey > Raw Locust with Apple & Cherry - Pint and Half 36 oz. 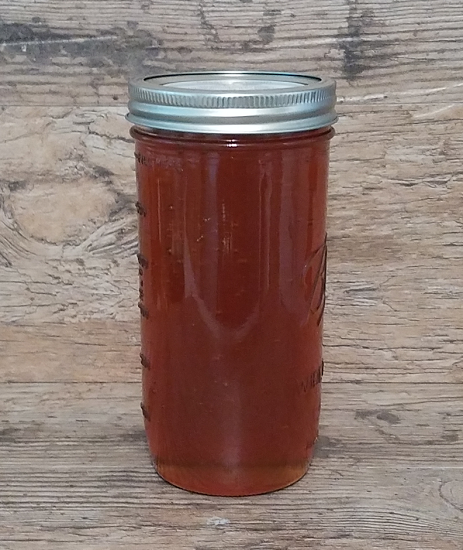 Raw Locust Honey in a pint and half container. Also known as Acacia Honey. This Locust Honey has apple blossom and cherry blossom in it. The apple blossom and cherry blossom give it the darker color. This honey is slow to crystallize. 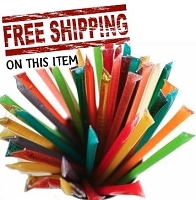 Raw Locust honey in a pint and a half (36 oz. nt. wt.) container. This honey also contains apple blossom and cherry blossom in it. We are fortunate enough to know a beekeeper who also produces Locust Honey and while the Locust trees were blooming in his area, the apple and cherry trees also started blooming. How a beekeeper produces a certain type of honey is to place empty supers (white boxes you see on the hives) on the hives just when the Locust trees blooms open on the trees. Once the blooms fall off, the supers that were placed on the hives are removed. Part of the time this year the Apple trees and Cherry trees were blooming simultaneously when the Locust trees were blooming. Pleasant tasting honey with primary tastes of apple blossom and cherry blossom with a hint of locust. Should stay liquid longer due to the Locust in it. 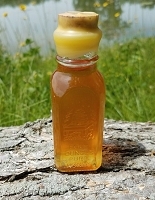 This honey is medium in color due to the apple blossom and cherry blossom in it. Sweeter honey and great all around honey to use in cooking, tea's, smoothies, etc. Raw honey has not been heated and simply filtered through a large mesh screen. The screen removes larger particles and allows pollen, propolis and beeswax particles to pass through it. Pleasant tasting honey, aromatic, and ranging from water white to light yellow in color, this honey comes from the black locust tree which flowers in long white racemes.